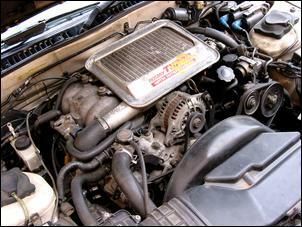 You're absolutely right - we forgot to mention those engines with variable valve lift. 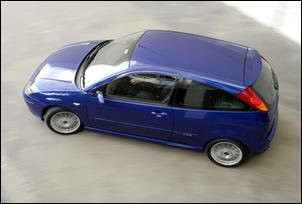 Thanks for your recent article on the Ford Focus ST170 Ford Focus ST170 Road Test. I was surprised at the lack of unique content in your article - normally your articles are very thorough. However, in this case, it seems that you drove around for 10 minutes and wrote the remainder of the article from the specification sheet. It's a shame, as I've driven an ST quite a few times and after a long drive on the Putty Rd and through Wollombi I was blown away by its handling and ride. I haven't noticed the vagueness you talk about in the steering, either and I've driven most of the cars you recommended at the bottom of the article. Coming from a Peugeot 306 GTi6, I really am impressed with the composure of this car and the strength of the engine. It's a car about balance - not about outright straight-line speed. It was never intended for such purposes. The GTi6 was never that great in a straight line, but it was awesome as a package of handling and mid-range torque when you needed it - and the ST is in the same vein. I found the cars you mentioned as alternatives to be quite puzzling - from that list, only the Astra and Corolla would be real alternatives (taking into account the size of the vehicle). So what happened with your article? Did you simply not have enough time with the car? It'd be great if you could revisit it on a long drive like you have on so many other reviews, mainly written by Julian. Here's hoping your normally high standard prevails in future articles. I have currently read that Subaru Australia will finally import the manual version of Liberty GT towards the end of the year. I am very keen on buying one of those - should be a nice upgrade... Can you comment on the car a bit? I know the B4 was plagued with some weird lag when the second turbo was spooling up (the reason why I gave up buying one) and that the new model is a totally different car. Any plans to test one? I’ve just returned to Australia from two years in the USA where, while living in New York City, I had little use for car related information, etc... Nevertheless, I kept my subscription fully up to date despite the fact I was not using it - as a 'thanks' to you guys who keep churning out deliciously rich content day in and day out. Having now returned to Oz (and back in the drivers seat of my 944 Turbo S) I've read every article you've published in the last two years and I must say I'm very happy. AutoSpeed continues to get better and better and I absolutely love the editorial content and tone. Keep up the good work. 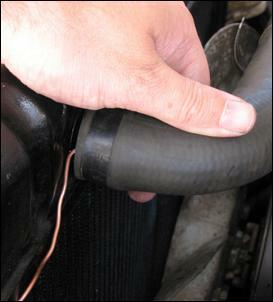 In your recent article Thermo Fan Install the author describes locating the probe for the thermo switch in the top radiator hose. My own experience has proven that locating this probe in the bottom hose/tank provides more appropriate control. This will result in the fan not running when there is sufficient airflow through the radiator to drop the output temp below the preset. This approach also seems to be the one chosen by the OEMs where they mostly mount a fixed temp switch in the bottom tank. Locating the probe in the bottom hose/tank also results in more stable engine temps regardless of driving condition. Keep the tech stuff coming. 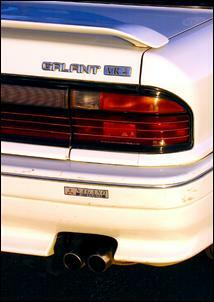 I thought I would give you an update on my Japanese-spec ’88 Mitsubishi Galant VR4. Since buying it in November 2003 I have gone a bit mad on mods. My basis of modification was to make the car suitable for track work. Here’s the story so far... Koni adjustable dampers, King springs, upgraded swaybars (Whiteline front and rear), camber and castor kit (Whiteline again), 3-inch turbo back exhaust, relocated battery to boot, car alarm, EBC 294 cross-drilled and ventilated front discs, Galant RS twin piston front callipers, EBC Greenstuff pads front and back rear, Autometer water and oil temp gauge, Autometer boost gauge, 600 x 300 x 76mm bar-and-plate intercooler, custom intercooler piping, GFB Stealth FX blow-off valve, K&N pod filter with custom intake piping, 2600lb heavy duty full face organic clutch, Evo III 550cc injectors, Walbro 255L/hr fuel pump, HKS 264/264 camshafts, HKS valve springs, Haltech E6X engine management, electric/pneumatic Recaros, 17-inch rims running 215/45/17 Falken Azenis semi slicks (16-inch slicks for track work). The result so far is 183kW ATW at 18 psi boost. Of course, the story is far from over and I am yet to get back to the track with my latest round of mods. (The work that pays for the play interferes with the opportunity to play.) I intend to take it to a test and tune at Willowbank in the next couple of weeks and then to the Sprint session at Qld Raceway at the end of the month. Love the web site and thanks again on convincing me to buy this wonderful car. I've just finished reading your article Imported Treasures – Part One and would like to congratulate you on the balanced view of your reviews. I do have a question about the Supra (and presumably Soarer) and also the RX-7 that I hope you can clear up for me. With all second hand cars there are things that wear out - like brakes, wheel bearings and shock absorbers. This is a given. The problem I can see with these cars is the TEMS and, judging from the engine bay picture of the RX-7, Mazda’s active shock absorbers will wear out. Do they need specific shock absorbers tailored for the electronic damping systems? If so, this may be a costly part to replace – or you might be forced into using a conventional shock absorber and abandoning the electronics. Apart from this issue these cars look like great value performers, just don’t expect to get prices such as these on the Northern Beaches of Sydney! Good point. In the case of the Series 4/5 RX-7 there are a fair few locally delivered examples that might have suspension parts with some life left in them (especially if they've already been replaced). There's also aftermarket strut suspension available (second-hand imported and new) for the FC RX-7. This also applies to the Supra/Soarer, though to a lesser extent. And, yes, prices do seem to vary a lot depending exactly where you live. Buying a car interstate sometimes makes good financial sense.